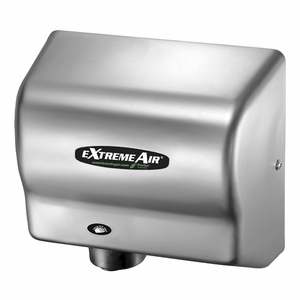 The ExtremeAir GXT9-SS is the original high-speed, compact, energy-efficient hand dryer. The GXT9 comes with adjustable sound and speed to match the environment and adapts to any voltage between 100-240V. 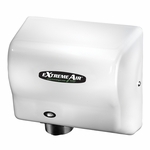 The stylish, compact design saves 98% of costs versus paper towels.